Taking pictures of kids is tricky business – and their reactions to having their pictures taken are always changing. We’ve moved from the oblivious infant stage, through the curious toddler stage (what’s that camera/phone thing, and why can’t I grab it from you and play with it? ), and into (and through) the preschool years that seem to be full of blurry action shots. There’s the occasional cheesy smile stage – that’s one of the worst – and I try to photograph the girls while they aren’t looking. Then there’s the constant “Take a picture of me doing this! Take a picture of me doing this!” stage, and the stage where every single photo that is snapped is followed by an urgent request to “see the picture” on the screen. That might be my least favorite one – the lighting is good, one of the girls is completely oblivious to me in the room, and I’m snapping photos of them engrossed in their activity – and then they look up and are now completely engrossed with looking at every single image immediately after it’s taken. They become seven and eight and nine, and as soon as the camera or the phone comes out the eyes start rolling. Sometimes there’s even a grimace in there, or the fake smile / forced smile with eyes that convey their true feelings. F’s in a pretty good place at the moment – although she has to look at everything I do on my phone or with the camera. E’s deep into the forced acceptance of her photography sentence – she can’t beat it, but that doesn’t mean she’s going to like it. The lighting was so nice the other night at the ball field, and we were early, so the stands were just starting to fill. I got my camera out and took a dozen shots of F – she was smiling, but it wasn’t really at me. 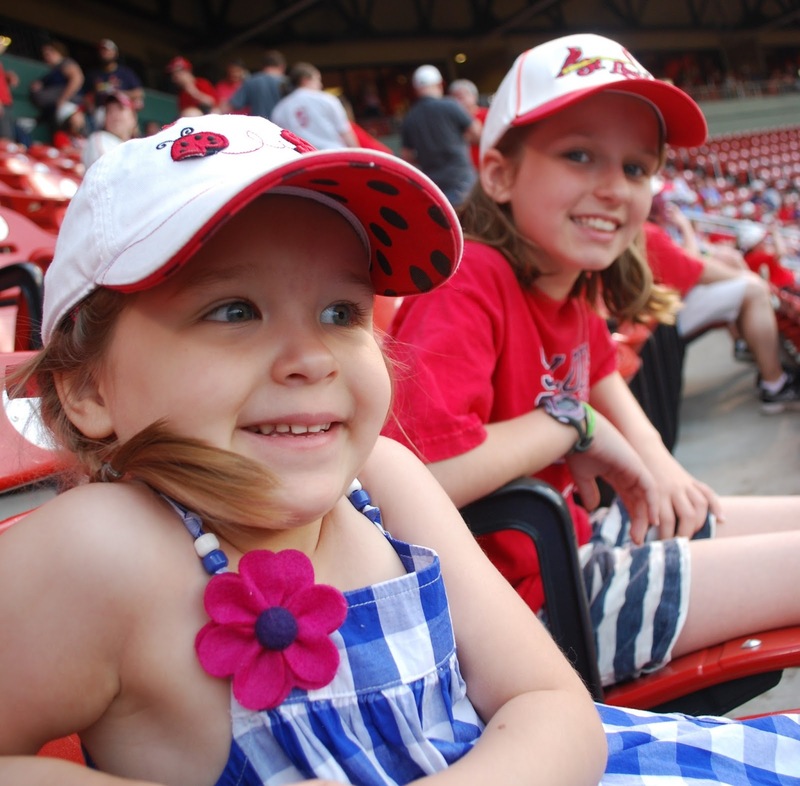 She was completely blown away with her surroundings (our first game of the season). 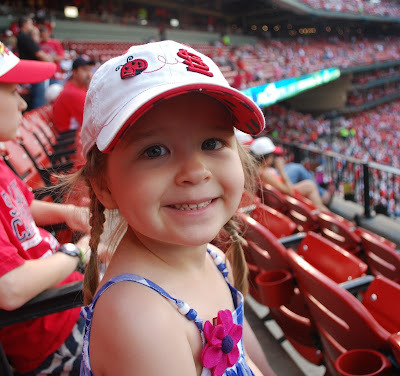 She had her favorite hat on (E’s old Cardinals hat with ladybugs on it – I’m convinced it’s the cutest baseball hat ever), and there were people walking around with cotton candy on sticks so she was pretty fired up. I could get around that by focusing back on F for a bit, and not letting E feel like she was the center of camera attention. So now I have proof that she was indeed enjoying herself. Sometimes she comes to my office and complains that I have more photos of F on my wall than of her, and I remind her that if she’d stop making faces like she was being tortured by the camera, maybe we’d have a few more photos of her around. I warn her that she’ll look back at her photo albums and find that she spent a four year chunk of her life with some sort of abdominal pain going on just below the surface if she doesn’t watch out. 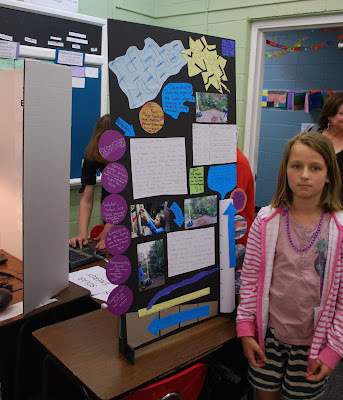 She might find herself trying to write a college application essay on why she wants to be a scientist, but the only pictorial evidence of her formative science years are photographs where she looks like she’d rather be at the dentist or cleaning her room. I take that back. 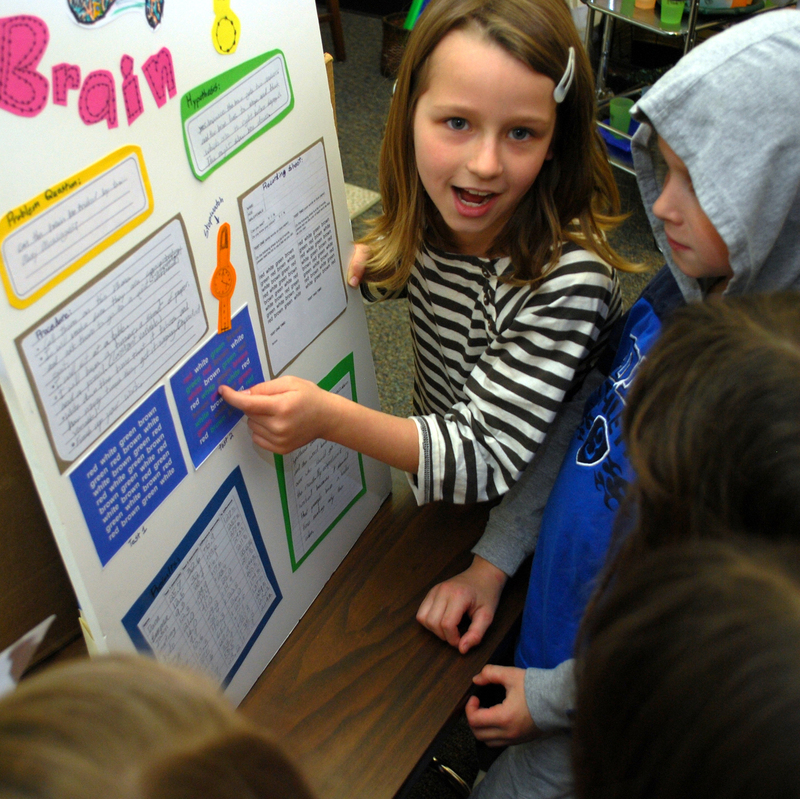 She could reference her second grade science fair – the one where I managed to sneak a photo of her sharing her findings with her friends. She loves science. She really loves designing the display for her science work. And she completely digs telling her friends about it. 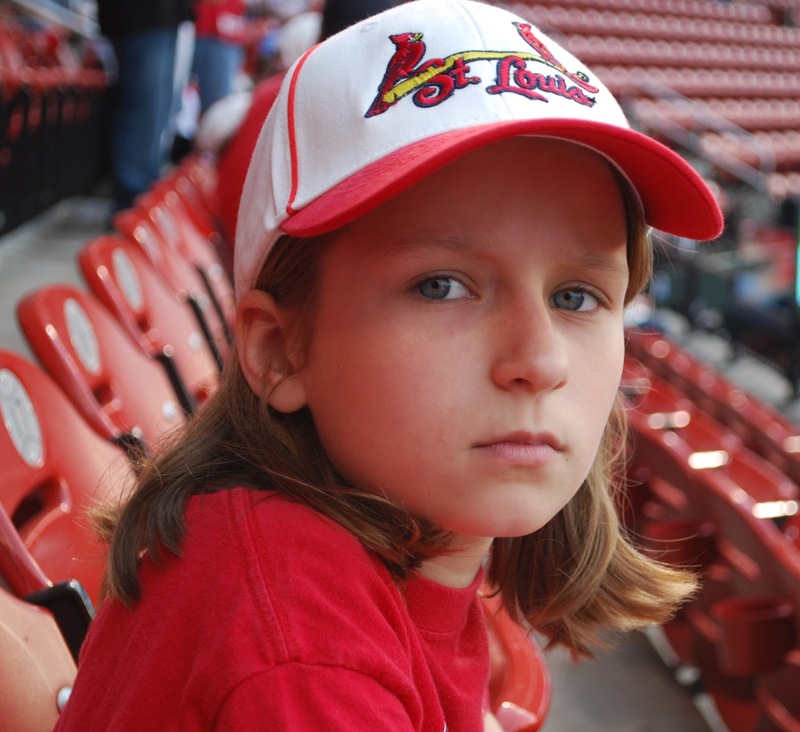 Just don’t ask her to smile.